Abstract: Tom Antos recently posted a video on YouTube showing how he rolls on the Airwheel when he is shooting somebody running. 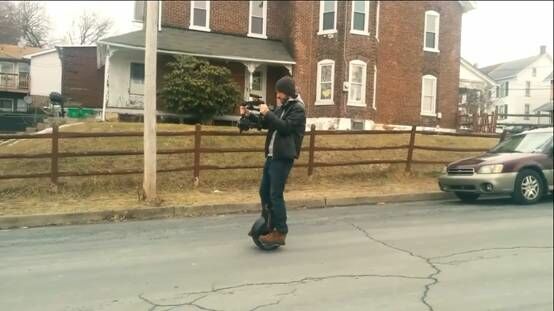 The Airwheel is not limited for transportation, it can practically be applied for filmmaking purpose. Tom Antos is a director, cinematographer who has over fourteen years of experience in the areas of visual effects. He has been sharing his filmmaking experience and knowledge through online tutorials that have gained a large and loyal audience on YouTube and Vimeo. Recently, he posted a video on YouTube showing how he rolls on Airwheel while holding a Gimbal and shooting somebody running. Tom Antos shows us that the Airwheel is not limited for transportation, it can practically be applied for filmmaking purpose. 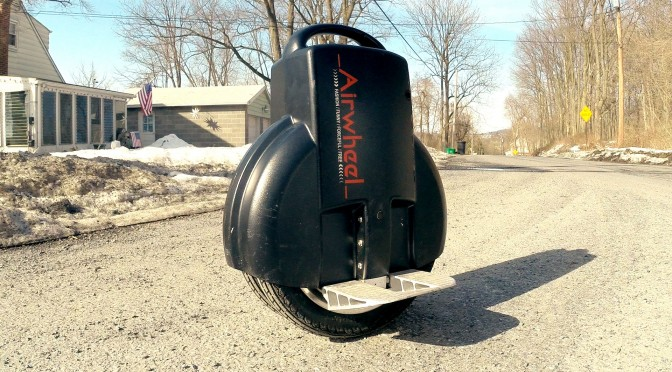 Airwheel is an electric unicycle that uses gyroscope to keep it self-balanced. It becomes more and more popular around the world mainly as a new commuting transporter. It can go for an average of six or seven miles for a single charge. It feels like riding a bicycle, but you don’t have to pedal or use your arms to steer. All you have to do is to tilt your body forward or backward to control your direction. This feature of Airwheel leaves your arms free so that you can hold a camera when shooting. Rolling Airwheel is simple. You turn it on and step on the side pedals. To move forward, you lean forward. To move back, you lean back. You have to balance yourself left to right, just like you do on a bicycle. This is easy when you have the forward momentum, but can be challenging when standing or going very slow – unless you are very good at balancing. Usually, it will take you a while to learn to ride it. But for those who know how to skateboard, there will be no problem at all in finding balance. At first, you’d better use the training wheels that come with the Airwheel. Those wheels will keep you from wobbling to the sides. But for real use, the training wheels are not good because they make noise and also don’t let you make sharp turns. You can also use the strap that also comes with the unicycle. It’s a safety strap that makes sure you don’t let the unicycle run off if you have to jump off it. Once you feel comfortable without the side wheels and the strap – you can try taking your camera on a ride too. Tom Antos tests in the video with the camera on a gimbal and also on a steadicam. It turns out, as Tom remarked, that it works much better with a 3-axis camera gimbal. Airwheel has three series, namely X, Q, and S. X-series is single-wheeled, being less stable but more agile. Q-series as showed by Tom Antos is twin-wheeled, being more stable and easier to master. S-series has two wheels and is larger, but it has a standing platform and a handlebar, and is the most stable one costing minimum effort to learn.